There are so many AV receivers in the world so it is no surprise that you can just be lost in the world of master sound and have no idea what features you actually need. Let’s agree, nobody wants just to waste money, and there is no point in buying something pricey if you don’t use most of its functions, right? 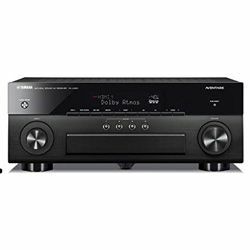 Therefore, I hope that this article will help you to choose a decent receiver, and you will find the best AV receiver under 1000 after reading this. 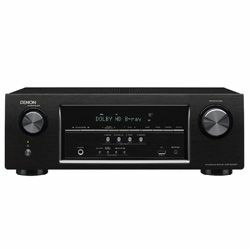 Don’t think that if some receivers don’t cost more than $1000, they are necessarily bad and that the upgraded version of the receiver is always better. Despite not that high price, the best AV receiver for you will be most likely under $1000 as you will definitely use the most features; such features like Dolby Digital Plus support and the ability to remotely control the AV receiver, for example, won’t get out of date for a long time. Moreover, with the receiver, it is important to understand your needs first and go for something long-lasting rather than new. 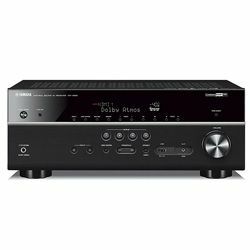 So, here is a list made of best AV receivers based on receiver reviews and proven by time. 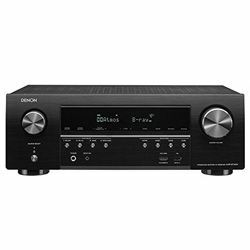 The first in our list titled “best receiver under 1000” is the Denon AVRX4300H. And it is truly one of the best choices in this category. 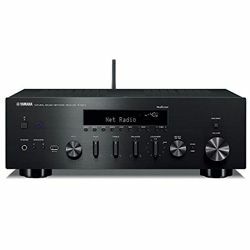 Internet radio support, all audio formats (except for AIFF, however, I doubt it is a big miss) recognition, Dolby-family integration and total harmonic distortion of 0.05% make it the perfect device for someone who needs clear sound with the ability to control the receiver wirelessly and listen to music through WiFi speakers. Another advantage of this Denon model is eight HDMI inputs and three HDMI outputs, so you can be sure that everything you need is connected. 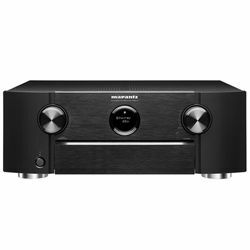 You can even connect your phone to the AV receiver; however, I doubt you need it as this receiver supports Apple Airplay and Bluetooth connection – your mobile can be in your hands while listening to the music! Also, you can remotely control the AVRX4300H using the app, so there is no need to go and manually set it up every time. Great integration with Amazon Alexa. It simplifies your life a lot if you know how to use Alexa. Apple Airplay and Spotify support. You can truly enjoy 4K Dolby Vision/HDR10 at 60 Hz with 4:4:4 chroma. Strangely, but HEOS sometimes stops connecting to Amazon Music Unlimited during playback. Probably, that means you need to stream less, but it’s ill a nuisance. No Ogg Vorbis encoding support, your playlist will need re-encoding. 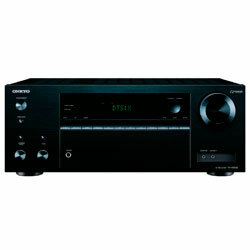 The new Denon AVRX4400H model is an upgraded version of the Denon AVRX4300H. The greatest differences between these two are an AUX input that was added apart from standard HDMI and USB that both models have, and a DTS:X built-in decoder. Other than that, both models are pretty similar. 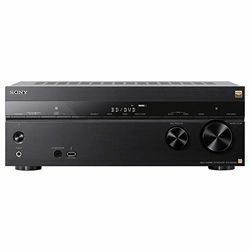 If you are the kind of person where you have no idea what you might need in the future and you have no preferences in terms of DTS or Dolby family (or maybe you love both? 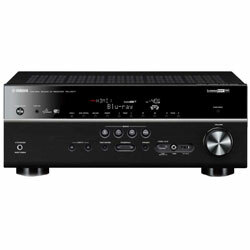 ), simply choose this model if you are browsing through AV receiver under 1000 reviews. As you could guess already from the title, it supports all audio formats available for today and has both DTS and Dolby family decoders built-in in a full range of variations. Apart from these two main advantages, the Yamaha MAIN-77326 has only 0.15 W power consumption in standby mode and output impedance per channel of 8 Ohm. Someone may say that frequency response of 20 Hz-20 kHz when some models can get higher that this is a bit old-fashioned. However, the question is: do actually many people feel this difference? For example, I don’t! Overall, you can be sure that this model will remain in trend for a long time. I managed to play DSD 5.6 MHz through both USB and network. Works great with headphones – you can actually feel strong headphone output while listening to your favorite tracks. Nice idea of two modes - "straight” and “pure direct". Pure direct is more about cinema-styled sound, whereas it is better to use “straight” when going to bed – here the sound is more “compressed” and quiet. Strangely, but the 3D zone doesn't have variable audio out on HDMI, you can only fix the sound level. The new model of Yamaha AVENTAGE RX-A1080 gives you a new feature of Intelligent Surround. This AI feature is built into the DSP and analyzes the scene currently on display and creates an optimal surround effect to reproduce it. Also, with this new model you enjoy full HD 4K video at 60 frames/second pass-through! Overall, the newer version is way better than the old one; however, be ready that you will pay more as well! 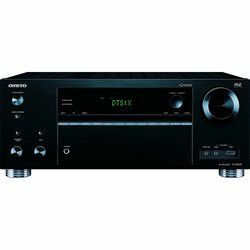 The main advantage of this Onkyo model is a unique frequency response - 5 Hz-100 kHz. 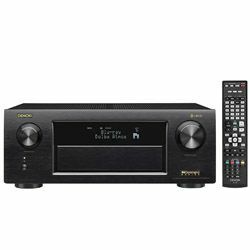 Together with 130 W output per channel, built-in decoders of Dolby and DTS family I find this AV receiver the best home theater receiver at this price with which you can enjoy Virtual Cinema DSP effects. Apart from great sound, you will be pleased with some extra features that it supports - ARC, Bi-amplifying, auto-power off and Smartphone remote control. Now you can even go to bed while watching the film – there is a sleep timer that will automatically turn off the receiver so it won’t consume a lot of power when you are already asleep and can’t turn it off. THX feature lets you adjust sound levels so that you can hear the effects even at low volumes. Re-mappable 12V trigger, I loved it. Awful remote, it would be better they left the old ones in place. Apple app deserves better development as well. 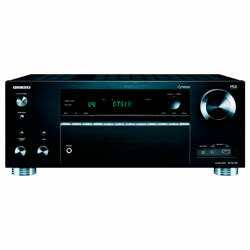 The Onkyo TX-RZ830 is an upgraded version of the Onkyo TX-RZ820. The biggest difference is that the manufacturer has implemented Sonos synchronization in the newer model so the receiver can now be a part of Sonos Home Sound System. If you have no clue what it is, then you may notice that they also added AccuEQ Advance that is great for speaker calibration precision settings. Overall, I would say that changes are great; however, would you use them a lot to pay more for them? Just think about it once more. 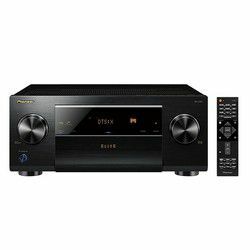 If you are the kind of person who pays only for the sound and doesn’t care about something like a sleep timer and three-zone compatibility, this is the best AV receiver under 1000 for you. 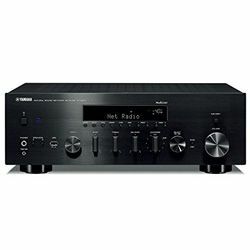 Even it may seem not very modern in terms of features, it does everything you need from an affordable AV receiver: it has 3D pass-through and HDMI pass-through up to 4K, has all DTS and Dolby family decoders (apart from Dolby Digital Plus) and also can please you with the ability to connect other devices via WiFi and Bluetooth (doubt you will miss IEEE that it lacks). Great upmixing! I have managed to upmix the 7.2 stuff to 7.2.4. Volume scaling. I can adjust volume in several ways, when it is loud you won’t usually notice the sound quality, however when I put the volume down to 15, I was amazed that I could still hear dialogues! The remote is quite slow, and it takes patience to get used to it. In the main menu there are things that are on remote, no extra features or so. It is not a disadvantage, however I would like a menu to be more diverse than that. 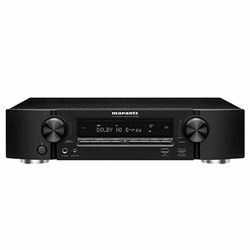 The upgraded version of the above-described Marantz model, Marantz SR6012 now has a lot of extra features like Alexa voice control compilation, HEOS wireless music streaming technology with HEOS app included and Apple AirPlay is finally being integrated! The cherry on top is that compared to earlier version, the Marantz SR6012 has an AVR remote app so you can control the receiver form the sofa without any extra movements. 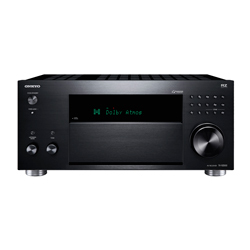 Denon AVR-X3200W – do you really need anything else? 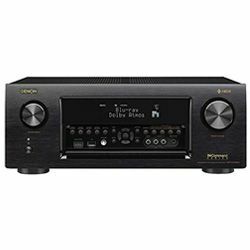 Having read receiver reviews, I got the feeling that this is the ideal choice in our category - best AV receivers under 1000. 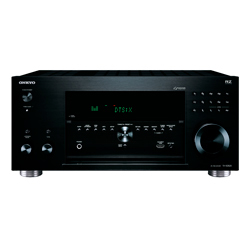 This is one of the examples of an all-inclusive receiver package – the Denon AVR-X3200W. To start with, this model has both digital player and network audio player, and you can also listen to the music on Internet radio. It supports all known by far audio formats (really, no exceptions) and has every kind of built-in decoders of DTS and Dolby families. All this is also not that power-consuming – only 0.5W in a standby mode and 600W while operating! There is an additional bonus – if you forget the receiver is turned on and go somewhere, it will turn itself off after a while. Besides, if you need a clock in the living room, there is no need to think more - the Denon AVR-X3200W has a built-in clock and a sleep timer as well. I really appreciate that there's no need to search for ages for a tuning subwoofer output anymore. You can tune voice frequency output so in movies the dialogues can be clearly heard to enhance your comfort. I managed to audio stream hi-res FLAC and ALAC from PC media server via the in-built app. Remote control shows only basic parameters, you need to look at the screen of the receiver for the rest to figure out what’s going on. iPad app is not so great either; it could have more functions. The upgraded Denon AVRX3400H can be proud of its stand-by power consumption, especially comparing to the old one – 0.1 W and CEC standby consumption of 0.5 W. Full HDCP 2.2 support, three HDMI outputs and eight inputs provide you with absolutely everything else needed. However, in this case (apart from power consumption) paying more doesn’t mean paying for better, so if you are not a huge fan of Alexa, there is really no point for you to buy an upgraded version. Yamaha RX-A870BL – don’t be scared with your bills anymore! Everybody wants great sound, yet nobody wants to get huge electricity bills after buying a receiver. However, with this Yamaha model you won’t face this issue at all – it consumes only 0.2 W in standby mode! This model also supports all audio formats possible (including Apple lossless) and has a full set of built-in decoders (all existing Dolby and DTS technologies are there). I also would like to bring your attention to the fact that even a standby mode power consumption is pretty low, while at work it has an output power per channel up to 160 W – sounds like a great deal, isn’t it? In combination with a total harmonic distortion of 0.06 % and 106 dB signal-to-noise ratio, this model provides great sound with up to 4K upscaling via HDMI. The only thing you may miss is the absence of 3D pass-through – though does it matter that much? I managed to connect it to my Xbox One X; I have searched a lot for the receiver that actually will be able to handle this! Absolutely loved the wireless music function; now I can enjoy music while cooking something in the kitchen next door. The subwoofer gets triggered every time I want to change something in settings. I find this really frustrating sometimes especially if this happens while I am watching the film. The new Yamaha AVENTAGE RX-A880 was upgraded just a little bit comparing to the old one. The biggest change is an implemented Reflected Sound Control with Multipoint technology. This technology helps you to analyze the room’s acoustics so you can tune the system especially for your room. To add, DSP Effect Normalization adjusts the room acoustics according to the reflected sounds of each Cinema DSP program. One negative thing though – in this model, there are only seven HDMI inputs compared to those eight that the RX-A870 had. Do you need to connect a lot of equipment? If yes, you'd better choose the previous model rather then go for the upgraded one. The Marantz SR6012 has everything needed to tell that this model will not get out of trend for at least two years (or maybe even more). Functionwise, it has both digital and internet radio, recognizes all known audio formats including FLAC and Apple lossless, has all Dolby and DTS built-in decoders and finally can also please you with smartphone remote control and sleep timer. For someone worried about power consumption, I can’t say that this model is really great. However, as the output per channel is not that high (110 W), the total output power of 900 W won’t seem so scary on your electricity bills. 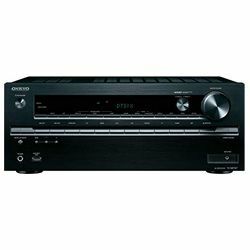 I would say, the biggest advantage of this particular AV receiver is its amazing sound effect configurations – you can enjoy both Dolby Digital and Dolby Atmos surround sound. 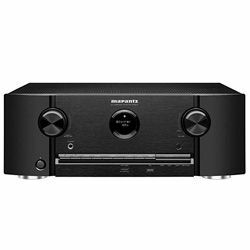 I would recommend this receiver to a fan of 3D films who doesn’t want to waste too much money going to the cinema every time. It managed to stream Tidal at the highest lossless quality. I love HEOS that let me manage Internet radio and streaming channels without any trouble. Sometimes the manufacturer forgets to put inside a microphone for Audyssey. Not a big deal for me, but it can be important for some people. 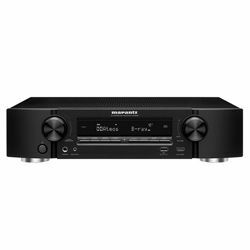 Like any other receiver of similar class, the Marantz SR5012 has everything needed so as not to become obsolete in 2-3 years. It has a digital player, an Internet radio and network audio player, built-in decoders of all Dolby and DTS standards known for now (including DTS:X and Dolby TrueHD). Apart from that, this receiver can please you with its power consumption. The operational power consumption of 320 W, given that the output per channel is 100 W, is a great deal. The total harmonic distortion could actually be less than 0.08%; however, given how little power it takes, I doubt 0.01% will make such a significant difference for you. The receiver has 8 points Audyssey channel calibration. 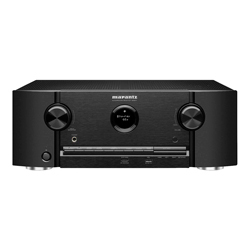 It is less heavy than previous Marantz models, and therefore you can easily hold it while tuning. If you want to change the input channel, you need to be prepared that it does take time (even with a black screen appearing during the process). I had to disconnect the power cable first in order to adapt my HDMI settings. Yamaha RX-A1060 – are you sure you know what surround sound is like? When you look at this model at first, it may not seem so perfect in many things – let’s be fair, it doesn’t support Apple lossless, there is no built-in DTS Neural:X decoder, and the A-B switch is also absent. However, why is it on this list then? The answer basically is that the above are the only flaws of this device. The cinema lovers will be absolutely amazed by something they hear next. 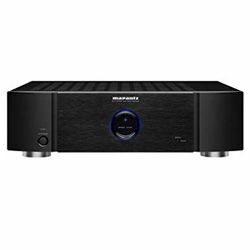 Apart from only 0.06% total harmonic distortion, this AV receiver has the whole range of surround effects available for you to choose from: SILENT CINEMA DSP, Virtual CINEMA DSP, Virtual CINEMA FRONT, and Virtual Presence Speaker. 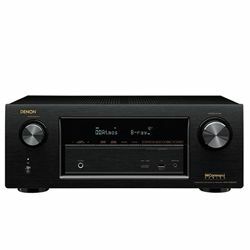 Add to these the high output power per channel (it can go up to 165 W), and you will get the best home cinema AV receiver for the next two years for sure. Loved 2 HDMI outputs, really useful if you have lots to connect. I managed to play DSD 5.6 MHz via USB and network too. I also appreciate they did Dual DAC ES9006A instead of the single one, like in previous models. Strangely enough, but you need to use the app to synchronize HDMI 1 & 2 Outputs, it doesn’t do anything with the remote. The next model that came after this one, the Yamaha RX-A1080, has some extra features added to this, like ESS Sabre DAC, Spotify Connect and MusicCast multi-room making the receiver to be suited more for home daily use. 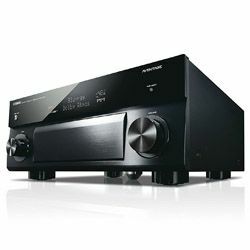 The drawback in the Yamaha RX-A1080 is that they have reduced the output power per channel that is now constant at 110 W. Apart from these, there are not many other changes made to the new model, which proves one more time the fact that the receiver can serve you for a long time. Sometimes people just want to have clear sound of their favorite tracks to be heard well around the house, and the earphones don’t seem so good anymore. 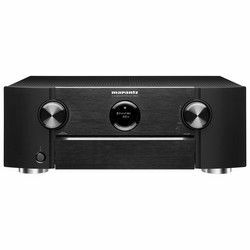 For these people, this AV receiver will be the best choice. It supports all known audio formats, and you will be able to connect your devices via WiFi or Bluetooth and control your music remotely using an app. It also has low standby power consumption – only 0.1 W that makes it an ideal choice for someone who uses receiver not so often. It has only five HDMI inputs and 90 W output per channel, so even though it has Virtual CINEMA sound effects, I would use it for radio purposes only in the first place. Almost everything in terms of settings and even the display menu can be customized to suit your needs. Great YPAO sound calibration; I found what sound is actually there in my favorite tracks. It took me quite a lot of time for me to figure out how to get the optical audio inputs to work with the CD player and my Xbox One. 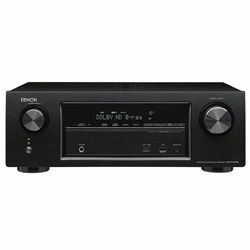 The Denon AVRX3400H is an amazing choice if you know you don’t require any hi-tech features and just want to listen to your favorite music once a week. 135 W output power per channel guarantees the sound master volume, and three HDMI outputs give you lots of options where to connect this receiver without limiting you to something. Even though you can’t control it through the app in the phone, it does support Apple airplay and FLAC music format. The greatest advantage of this device is probably the standby power consumption of 0.1 W – so if you often forget about the receiver when you turn off the TV, this will be a solution for you. I’ve checked the sound quality on 24 bit 96k HD Audio and Spotify, and I'm pretty pleased with the result. I also tested how it works with two-channel stereo music and loved it as well! I wasn’t able to use my own EQ while the receiver was decoding the audio. I prefer to do this manually, and in this case it was impossible. Had an issue displaying Amazon Fire TV despite lots of HDMI inputs. The small size of the Onkyo TX-NR747 doesn’t mean that it has only a few features. All needed is there: the 24 bit / 192 kHz audio D/A converter, x.v.Color, three-zone capability and all audio formats recognition apart from AIFF (doubt this one matters much). Talking about built-in decoders, this receiver doesn’t have DTS:X, DTS neural:X, and Dolby Surround. I advise that if you are a fan of DTS family, you will need to choose something else, but if you love Dolby, this one can be a good choice, especially given the fact that Dolby Digital Plus is implemented. 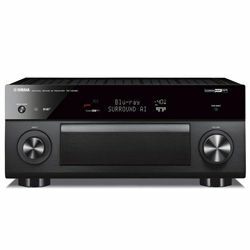 This AV receiver can also please you with the high output power per channel (130 W), eight AV and HDMI inputs (so you can be sure there is lots of space to connect everything) and two subwoofer and HDMI outputs. You can also connect devices via WiFi and Bluetooth that will be convenient if you use wireless speakers and move those around. It can stream music via Bluetooth as described, faced no issues with that. I especially liked the fact that you can turn on the second zone only and/or the main part of the receiver and select which input you would like to hear. Even after four hard resets, I couldn’t solve the problem of the picture blinking related to the 4K signal pass-through. 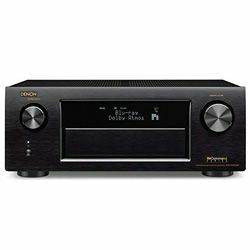 As you can get from the title, the biggest advantage of the Onkyo TX-RZ730 is an amazing frequency response – this receiver can go from 5 Hz all way to 100 kHz making your experience really unforgettable. Of course, this leads to some drawbacks as well – for example, be ready to spend quite a lot on electricity bills as this AV receiver needs a lot of power. Extreme output power per channel of 170 W provides excellent sound volume and requires 760 W while operating. So even the price of the receiver is not high, be ready to consider it as a long-time investment. To my mind, what you get in the end is worth it – nine channels, great connectivity interfaces (WiFi, IEEE, and Bluetooth are present), 3D pass-through signal processing and even a sleep timer. One last thing – quite small size makes it attractive for someone who doesn’t have a lot of space in the living room. I don’t feel any sound distortion, thanks to the great power per channel. I also managed to play DSD files over USB, as well as over HDMI. If you use a Sony Blu-Ray player, you’d better turn off Deep Color settings first. If you don’t do it before connecting it to the HDMI output, you are at risk of getting no video signal at all. Warning – if you love sound-effects in films, this is not for you. This receiver does not have any HDMI inputs or outputs, or any built-in decoders or Dual-zone capability. On the other side, it has Internet radio, digital player and network audio player, recognizes all known for now audio formats and has a great connectivity interface (WiFi, Bluetooth, IEEE). Quite low standby power consumption of 0.1 W is a pleasant fact, as well as 200 W total output power. The thing that impressed me most is 0.019 % total harmonic distortion, so if you want to listen to your favorite tracks and feel every single bit, this receiver will perfectly suit your needs and will be always in trend. I have turned on my Spotify playlist there and it worked nicely at 44.1 kHz. Almost all settings can be done within MusicCast app, you always have control of the receiver. If you have external hard drives of FAT32 and NTFS format, maybe you should think of a change as these drives can’t be operated via USB input. Sony as a brand itself is famous for its quality; this particular model can please you with Bi-amplifying, x.v.Color and 3D pass-through signal processing in addition to sound quality. Audio D/A conversion happens at 32 bit / 384 kHz so your tracks load faster. 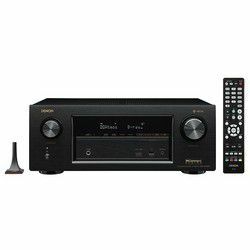 Talking about less basics, unlike some other receivers, the Sony STR-ZA810ES has a digital sound processor embedded with five DSP presets so you can enjoy Theater-Dimensional Virtual Surround sound effects for the best price. One of few receivers where the smartphone remote control app actually works without any trouble. There wasn’t enough HDMI inputs for me, my previous one had seven and I used them all, this one has only six and I needed to connect some devices via Bluetooth instead. For some reason, I haven’t managed to play it in 5.1 on Twitch. Another model that won’t suit cinema lovers with only one correction – it will most likely not suit rock music fans also. Let’s agree, 80 W output power per channel won’t scale up the sound volume a lot, and there are only two channels available to you. So, why is it on this list then? Apart from some drawbacks, this receiver has the lowest total harmonic distortion I know – only 0.04%! The signal-to-noise ratio of 100 dB will also please every music lover, and 0.1 W standby power consumption will stop you from worrying whether you turn it off or not. 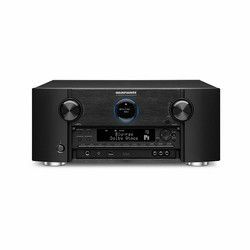 To sum up, if the volume scaling is not that important for you, you will find this receiver a perfect choice to listen to music on a new level. It can connect speakers in another room via WiFi; this system works perfectly and provides great connectivity. Even its specifications state 0.1 W standby power consumption; my home measurements show just a 0 W reading. The smartphone app doesn’t allow you to rename inputs or customize them to de-clutter the input view. If you turn off the receiver while listening to Internet radio, the next time you turn it on, you will need to re-select the station as it won’t simply remember it. 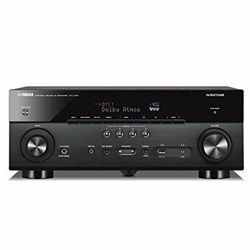 If you got lost with all this information, just look at the comparison chart below and choose your best AV receiver under 1000 dollars. I hope that this will sort out your mind, and you can make the best possible choice for you considering all the pros and cons of every model. Remember, when comparing two devices never look at how many cool features it has – think about which ones you actually need and going to use. There is no point in buying something if it just going to stand on the shelf, right?